Kelly Dentistry was established by Drs. Adam and Laura Kelly. Dr. Adam and Dr. Laura met while they were completing their doctorates at the University of Louisville School of Dentistry, Louisville, Kentucky. They married and returned to Dr. Adam's home town to start their dental careers. Once settled, they faced the decision of working in an existing dental practice, or opening their own. They chose to begin their own practice with the latest training, equipment, and technology to be offered. The office experience they have established offers a pleasant, caring, and timely appointment. Kelly Dentistry is a progressive, forward thinking organization. Among one of the first practices to utilize paperless charting and low radiation digital imaging, the delivery of care is both safe and efficient. The staff at Kelly Dentistry is committed to practicing skilled clinical procedures, while offering comprehensive Patient Centered Care. Patients and families are encouraged to partner with clinicians in establishing the best plan of care for their dental health. Our staff includes 2 dental hygienists, 2 dental assistants and an office management team to make your visit well coordinated. A full range of dental services are available including cleanings for the entire family, teeth whitening and cosmetic procedures, crowns and bridges, and implant restorations. These procedures utilize the best equipment and sterilization techniques available. Collaboration with some of the finest specialists in the area, to include Periodontics (gum disease), Endodontics (root canal treatments), Oral Surgery (extractions), Orthodontics (braces), and Implant Dentistry completes their comprehensive approach to best serve their patients' needs. Both Drs. 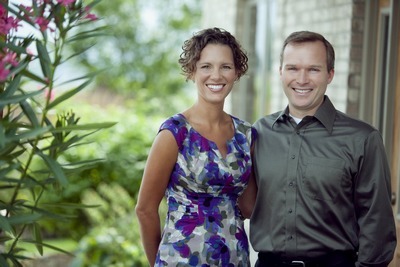 Adam and Laura Kelly are members of the ADA, and the MDA. Kelly Dentistry considers your dignity, respect, and privacy to be very important and we comply with all HIPAA regulations and standards. For your convenience, Kelly Dentistry accepts cash, check, all major credit cards, and CareCredit patient financing options.